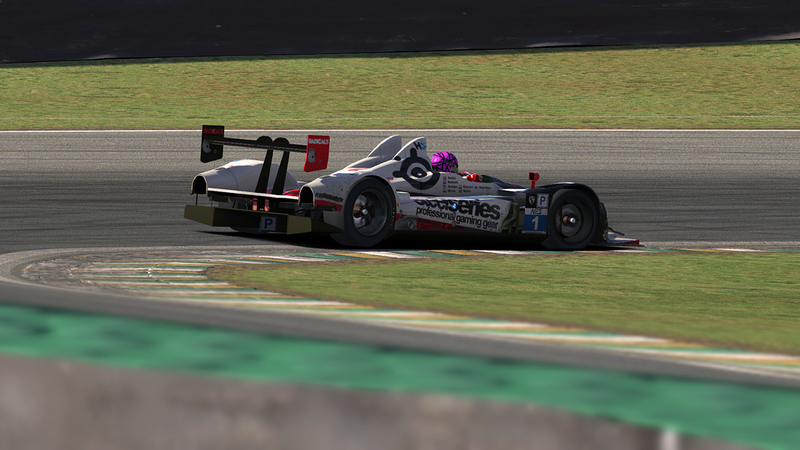 On February 15th NEO held round four of the NEO Endurance Series at Autódromo José Carlos Pace, or better known as Interlagos. With a couple of wide straights and a tight inner section, this track would be a big challenge for the drivers. And a big challenge it was. The first hours of the race was eventful with a lot of avoidable contacts. Once the drivers got into a flow the racing became very intense, but clean. Before the race Coanda Simsport had a lead over Radicals Online by 45 points. Therefore Radicals Online needed to go in full attack mode in these final two races and hope for Coanda to spill some points. As expected Radicals Online went into full attack mode right from the start. Also Coanda Simsport and Friction Racing went for it and the battle for the lead of the race became a three way battle throughout the majority of the race. All three teams were on different strategies, which was interesting to see. After six hours of racing it was Radicals Online who took their second victory of the season. Coanda Simsport did what they had to do, finish the race right behind Radicals Online. After two DNF’s Apex Racing UK took their second podium finish of the season. Behind the top 3 there was a big gap to the rest of the field. Two laps behind the leaders it was Racing Lions finishing in fourth and taking their first top five finish of the season. Gathering of Tweakers 1 finished fifth. Kroenert Motorsport finished sixth. Two laps behind Kroenert it was KRT Motorsport who finished seventh. 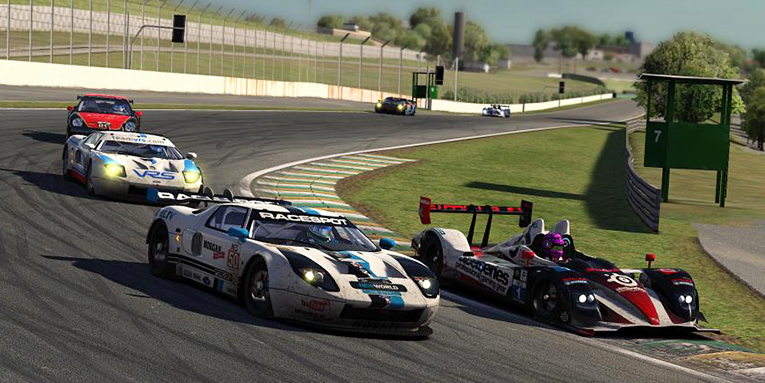 In eighth it was United Sports Car Sim Racing who had to fight back after an early penalty for avoidable contact. Team Chimera came in ninth after a couple of big crashes in the race. The final car in the top 10 was Friction Racing, who ran in the top three almost the whole race long. In the final hour of the race they had spin in turn 1 and damaged the suspension of that car. They managed to gather five championship points in the end and truly showing their potential. Looking at the championship standings, Coanda Simsport has a 36 points lead over Radicals Online. If Radicals Online wants to win the championship, they need to win the final race and Coanda Simsport needs to finish seventh or lower. This sounds very unlikely, but anything can happen in a six hour race. 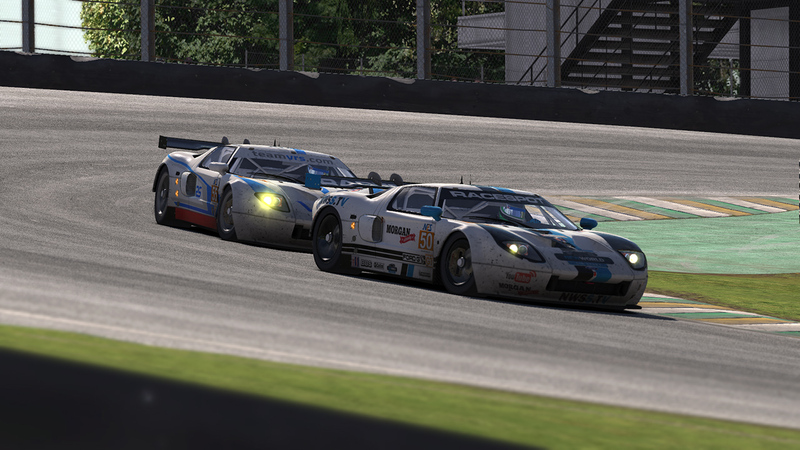 Behind these two there is a big gap of 61 points to third place Twisted Apex Racing. From third till eights in the standings it is pretty close. The difference between third (Twisted Apex Racing) and eighth (Kroenert Motorsport) is just 36 points. Also the battle for the top eight, who get an automatic invitation for next season, is not over. Friction Racing (9th) and Team Chimera (10th) still have a shot for the top eight. Also keep an eye out for the teams behind the top two, because it will be exciting to follow. The Grand Touring class did not disappoint in terms of action in this fourth round. four teams finished on the lead lap of their class. New World Sim Sport won after and intense fight with VRS throughout the entire race. The two teams traded paints a couple of times but kept the racing fair. Before this race VRS had only managed to secure a ninth position finish. VRS finally showed their potential with their finish in second position, only a few seconds behind the class leader. With the close battle between first and second which slowed them down meant that third placed Gathering of Tweakers 2 could close in. GoT2 ran a flawless race and can be quite pleased with this top result. SimRC.de was the last team to finish on the class lead lap bringing it home in fourth. Lazyman Racing had before Interlagos only managed a tenth position as the best result, so coming home in fifth position was a great resurrection for the team. Speaking of coming back, Apex Racing UK number 34 who crashed and flipped the car in the opening part of this round actually crawled back from dead last to a sixth position. This still gave them 15 vital points. Best result so far was also for REVS SimRacing who brought it home in seventh. Torque Freak Racing, Fenix Motorsport 64 and Radical Racing UK rounds off the top 10 in GT class. iRacingDenmark Assault Racing who had a day to forget with their P12 and 14 laps down lost the lead in the class and now find themselves in third position with 120 points. New World Sim Sport has taken the lead with 138, just 8 points ahead of number two in the GT championship, Apex Racing UK. Fenix Motorsport is currently in 4th with 116 points. These are the teams able to win the GT championship. Just 42 points separate 9 teams who are all looking for a good finish between fifth and fourteenth. As the top 8 teams get an invite to the next season of NES, it is expected to see hard racing down the order, as all 9 teams have something to race for. A good results for any of the lowest positioned teams can have a major impact on the final standings and it will be something to keep an eye out for. After a dramatic event at Spa, Vergil Racing claimed first position in the Grand Touring Challenge championship at Interlagos by sticking to the strategy: go fast and keep the nose clean. Vergil Racing is the team to beat in GTC and with their driver line up it is hard to compete against. IRDK Endurance, the Dane Train, improved on their best result and finished in second position after a trouble free event. The championship battle is heating up and with SRN Motorsports finishing third, behind IRDK Endurance the championship is even more exciting before the last event. Slipstream Racing also had a flawless race keeping the car clean. Previous best result was a sixth position at COTA, so improving to fourth at Interlagos is something Slipstream Racing can be proud of. In fifth position we have Virus after a solid performance against Chimera and Dart Frogs in the middle part of the race. New World Sim Sport number 92 brought it home in sixth position which is 3 places better than at Spa. Also improving on their previous best, Gathering of Tweakers 3 had a great performance finishing in seventh. Their previous best was a tenth. Team Chimera started third but a couple of incidents set them back and they finished eight. Torque Freak Racing and KRT GT Motorsport came home in ninth and tenth. The Dart Frogs and Apex Racing UK number 73 had a terrible race ending their day early. The Dart Frogs who was second in the championship now sits in fourth with 94 points. They are behind IRDK Endurance with 106 points, SRN Motorsports with 133 points and the leaders, Vergil Racing, with 159 points. From fourth to ninth is only 34 points and a lot can happen in the last round. Like the other two class championships, GTC is also a great battle to look out for. Money prizes and the automatic invite to top 8 mean that almost all teams still are racing for something. Full results and championship standings are available on the website. The race is also available as VOD in our race archive. 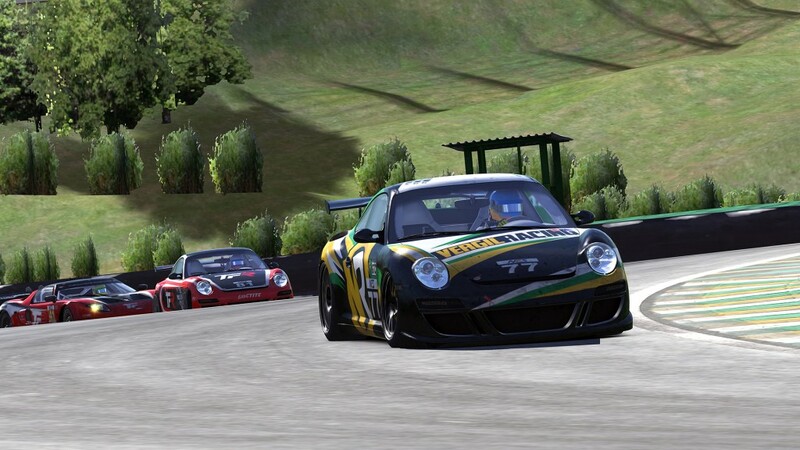 The last round of NEO Endurance Series Season One takes place at Road Atlanta on March 15 at 14.00 GMT. Watch the broadcast live right here.